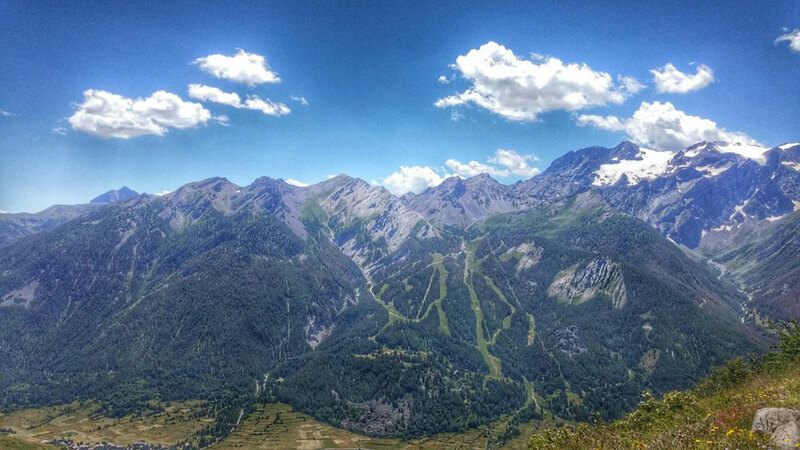 Explore the mountains around Serre Chevalier and beyond! 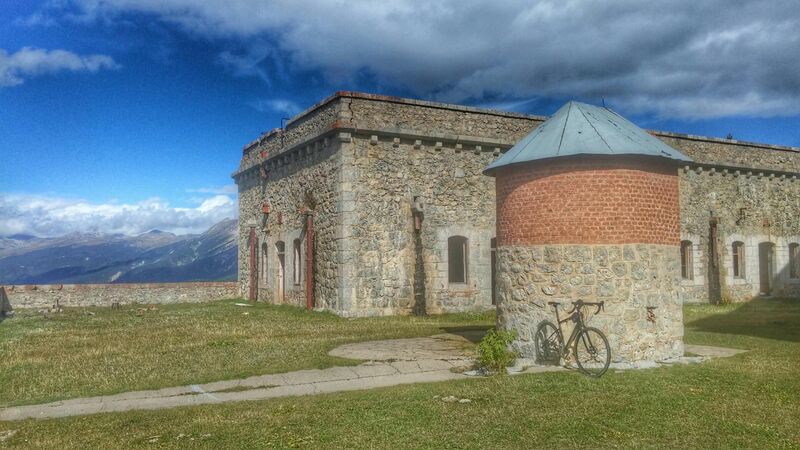 With the Etape de Tour starting in Briançon there are going to be many active cyclists visiting Serre Chevalier and the surrounding area, and if you like mountain biking or want to experience what the mountains can offer then Serre Chevalier is a two wheel paradise. As you'll see all the routes featured in the guide have been ridden, not just once but on a regular basis. 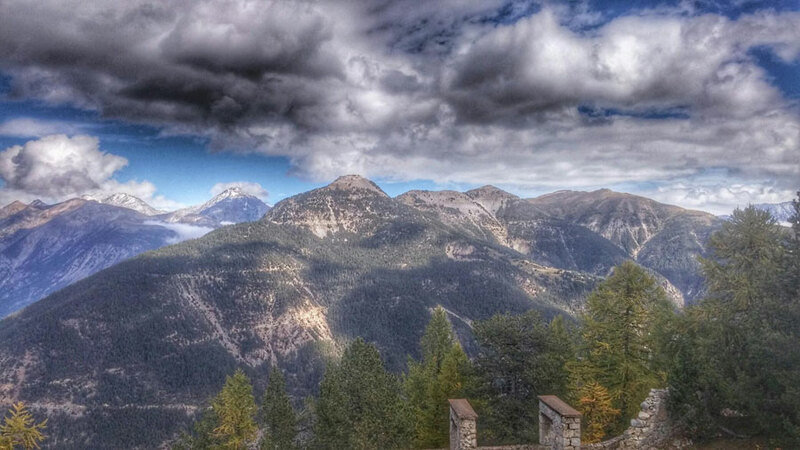 Serre Chevalier is a valley with three villages along the 14km of road from the city of Briancon. 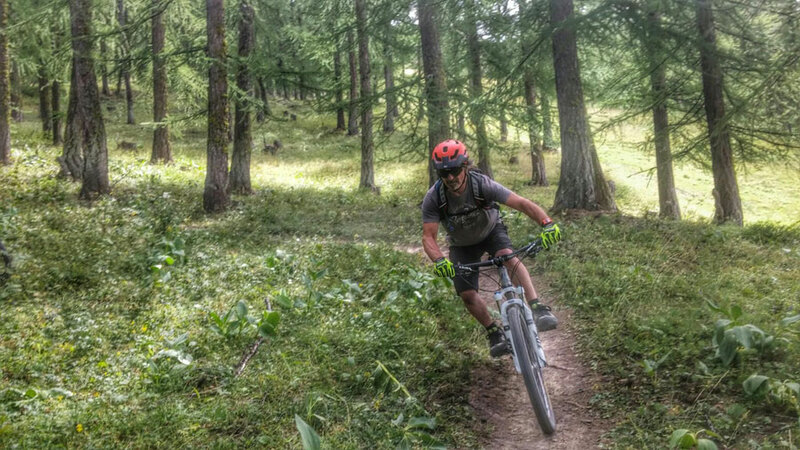 The villages in the summer season all have lifts that let you take your bike up and explore the ready made trails with a mixture of advanced through to beginner trails catering for the Downhill experts, XC and Enduro riders. The bike park also has an MTB skills area, complete with wooden obstacles including seesaws and northshore features. Plus twoards the bottom of the Villeneuve (Casse du Boeuf) lift there is an area (the Mickey winter piste) where beginner riders and kids can practice the skills they'll need to ride the green La Soup'Line downhill trail. With a green, 4 blues, 3 reds and a black, there's plenty of riding for all abilities. 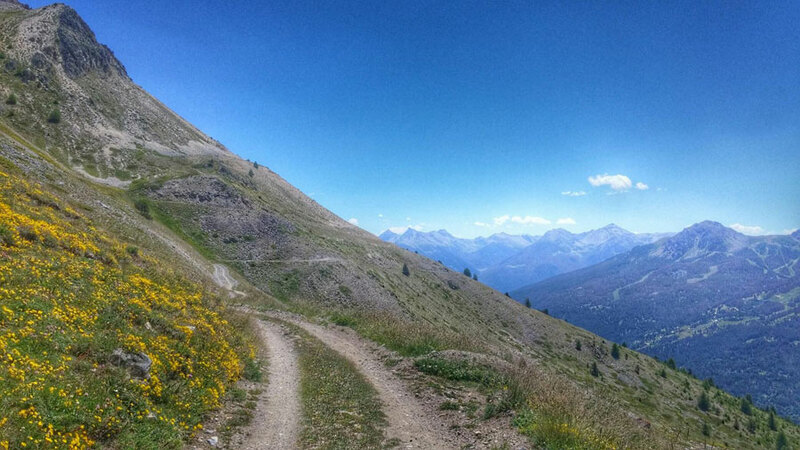 The trails are split across the 3 villages of the Serre Chevalier valley. 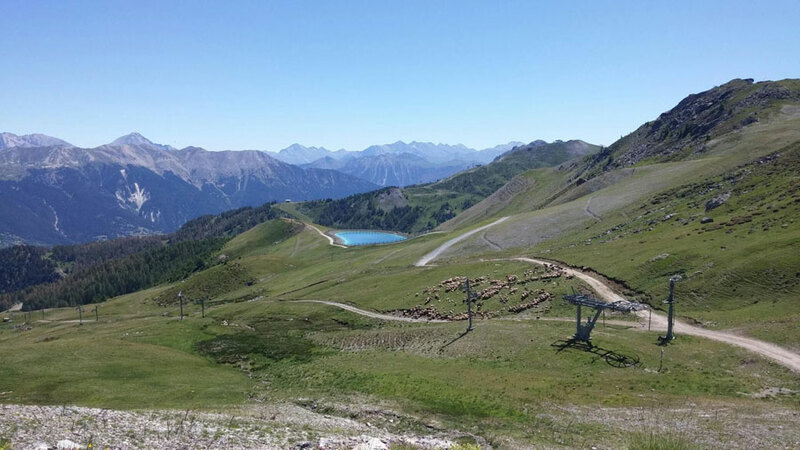 From Chantemerle you can take the gondola up to Serre Ratier and then the cable car to the summit at 2,500m and then have numerous options, access to the upper part of Soup'Line, the blue Ricelle and the red Alpage trail. Then from La Salle-les-Alpes / Villeneuve, there is the Casse du Bœuf chair that takes you up to the lower part of Soup'Line, the blue Orée du Bois and the red Les Ecoutes. 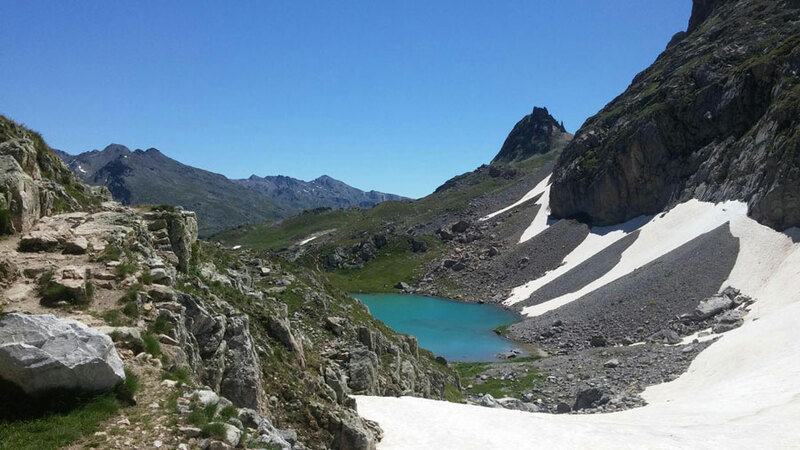 These trails lead into the blue Mélèzine, the black Tabaz'Co and the red Traverse de Chêne. The final village Monêtier is where you can take the Bachas chairlift and you can then access the Monêtier-les-Bains Enduro area featuring Endur'Hope, Intense and Tripe Chaude, there are now 5 Enduro-specific tracks in this area alone totaling 52 km and 5420 m of vertical drop. 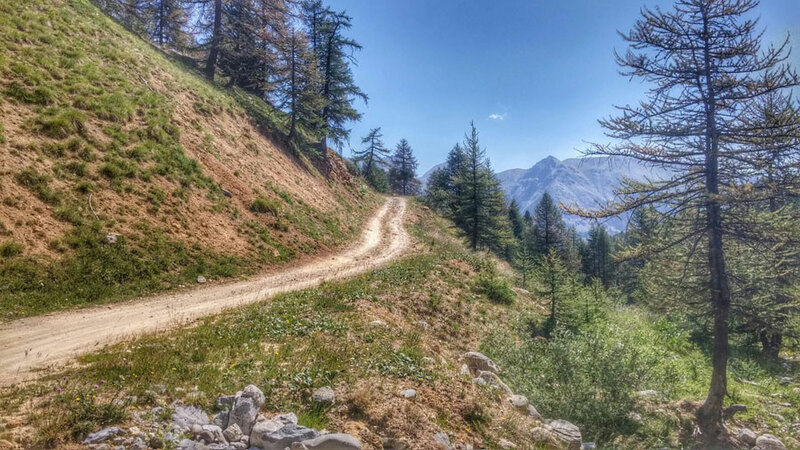 Whilst these trails are great this guide is more focused to the trails and routes that will appeal to Enduro riders and XC specialists and not least with the explosion in popularity of Electric Mountain bikes, those riders wishing to explore the least well known trails and other valleys in the area from Serre Chevalier to Montgenevre and Nevache. 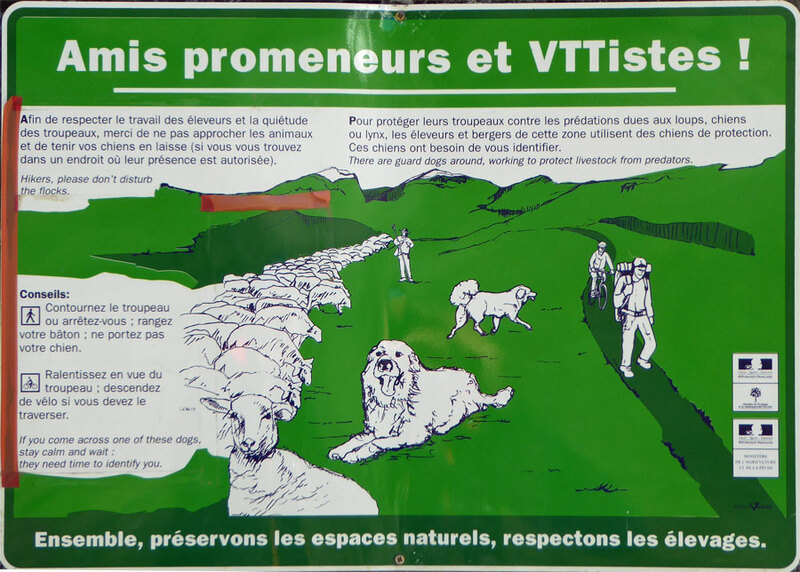 You will see numerous trail signs up and routes whilst up in the mountains, most of the signange is from this guide. 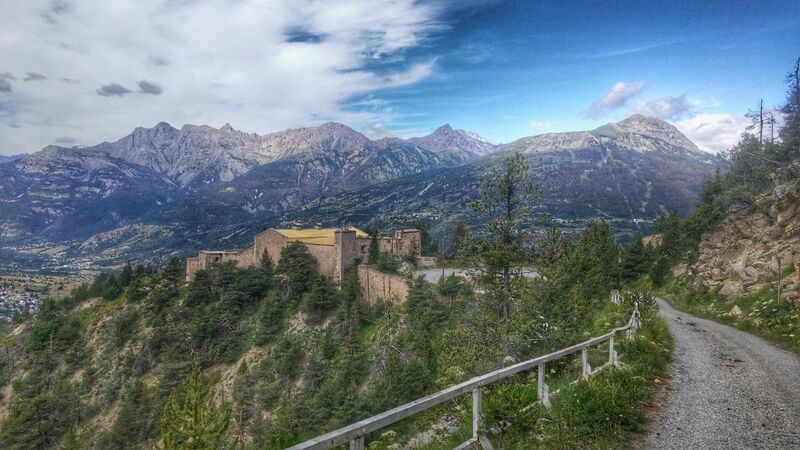 In the valley and Briancon there are some great shops, though you'll find the prices of tyres and inner tubes somewhat steep, so bring spares with you! And if you don't have a decent MTB then it's worth considering renting as you can rent the latest models for Downhill, Enduro etc. 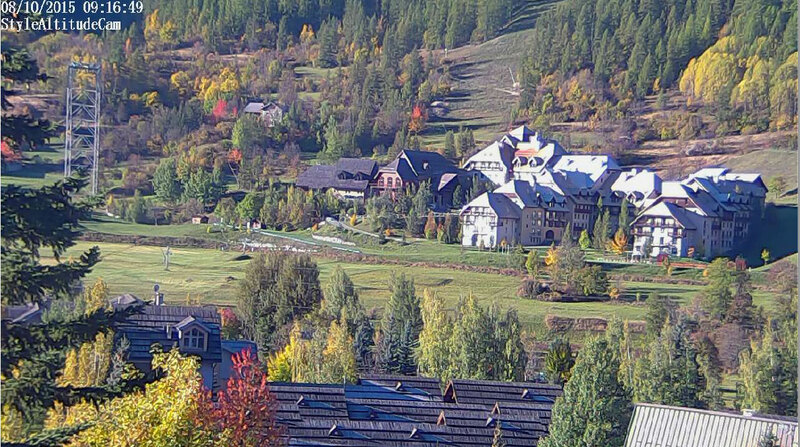 And all the rage here last season was for Electric Mountain Bikes and it's looking like that market will continue to grow, especially when you consider that the daily rental of an Electric Mountain Bike is similar to that of a daily lift ticket in the summer! Philippe Sports in Villeneuve (my local shop) just by the main roundabout has a huge range of great bikes. 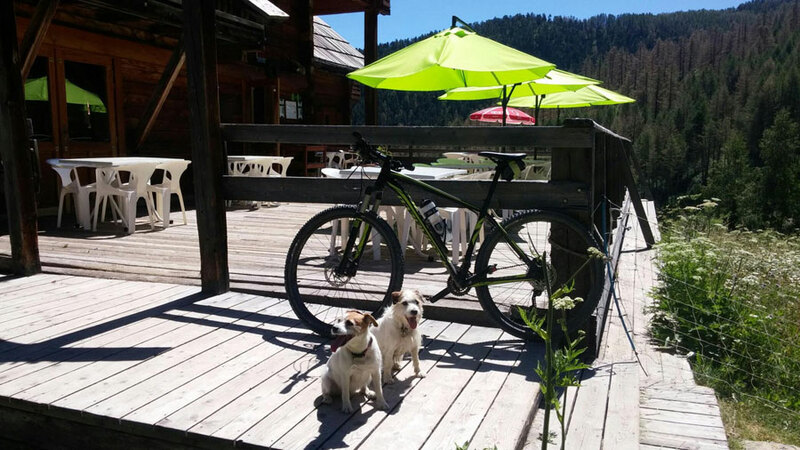 Whilst in Briancon I've had good service from Cycle and Skis www.cyclesandskis-briancon.com who rent disc braked road bikes, MTB's and Electric Mountain Bikes. 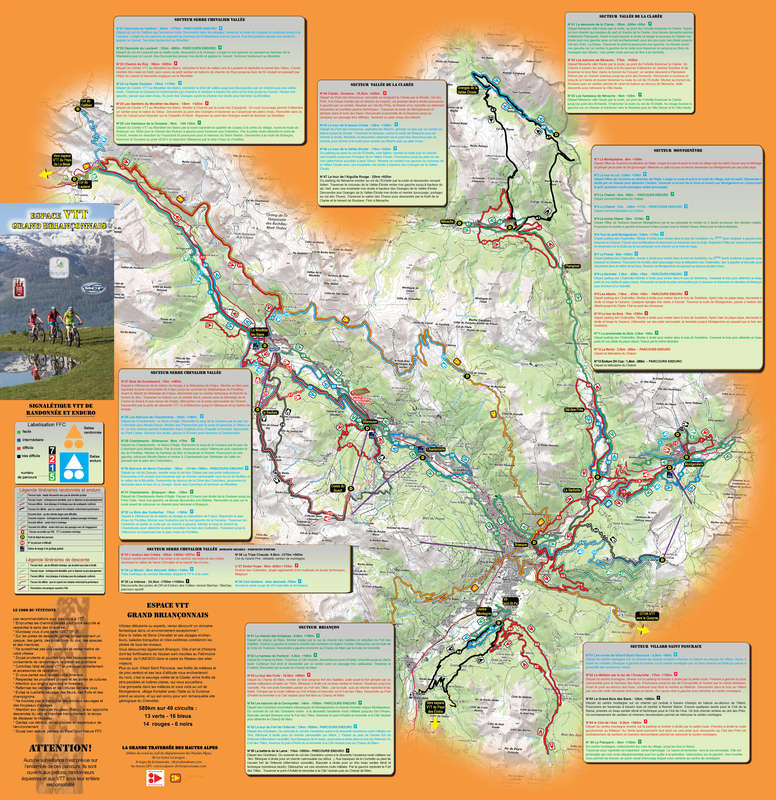 This guide is based on living and cycling in the Haute Alpes. 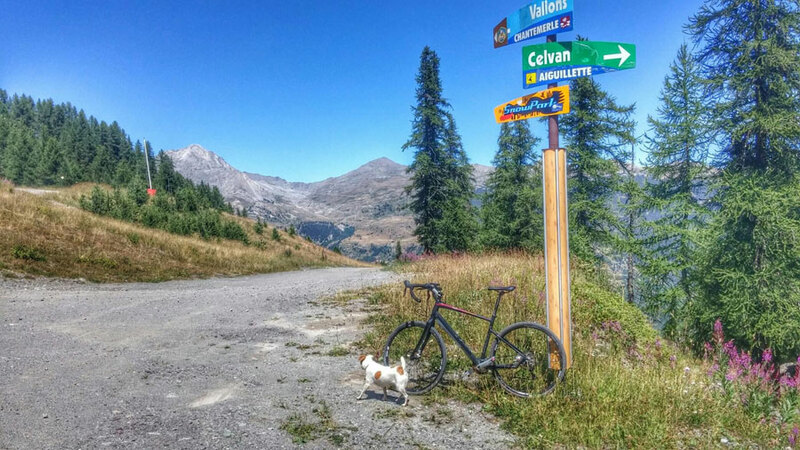 I also road bike just as much as I mountain bike - and here is a link to the road routes guide. 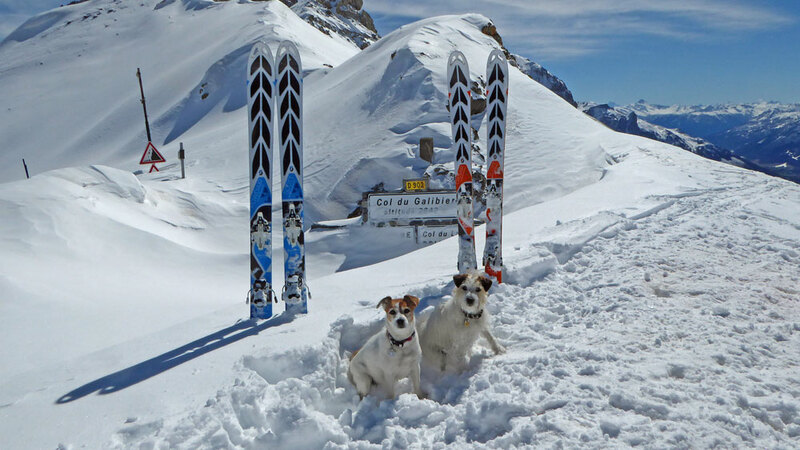 In the winter we ski tour / ski randonne, often with our Rando Chiens to many of the cols that you can cycle to in the summer. Ski touring is climbing up on specially equipped skis along with climbing skins, then once at the top take the skins off and go into descent mode to ski back down! 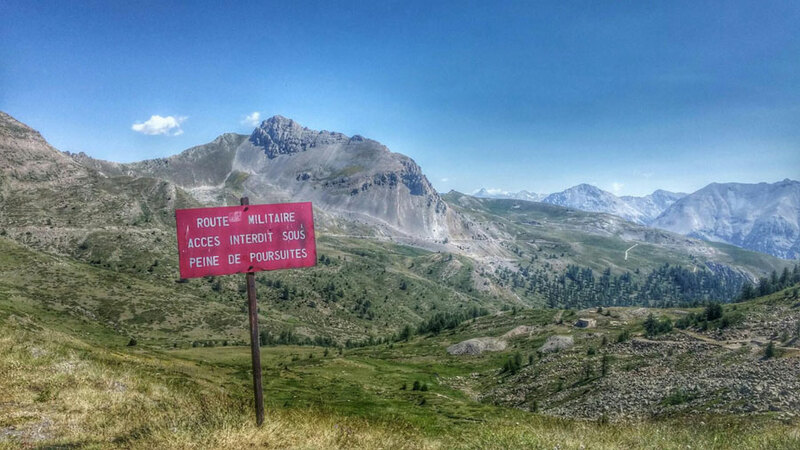 Cycling Mountains & What to Watch Out For! 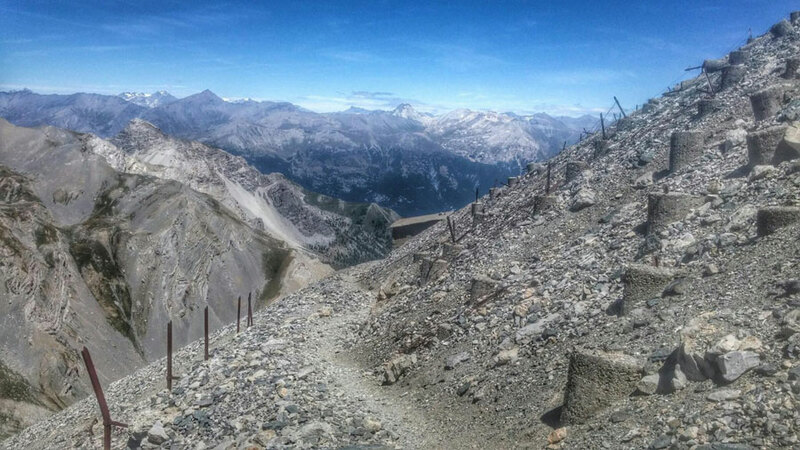 One thing's for sure when visiting this part of the world, you will be climbing well above 2,000m. 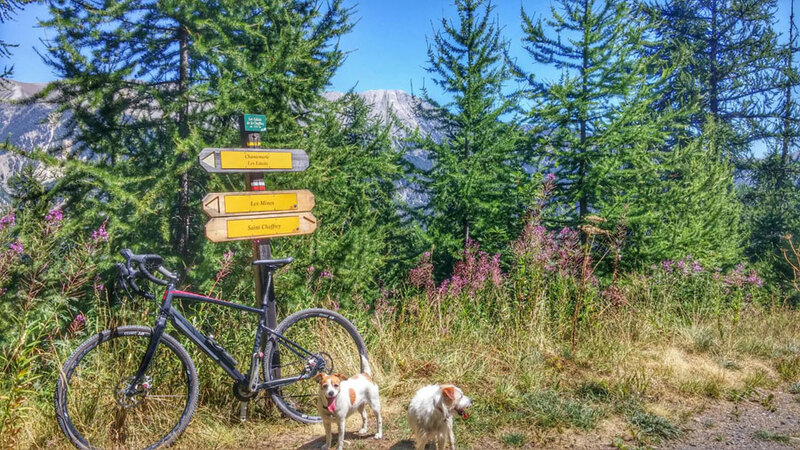 If visiting in the Summer months and especially so if hiking or out cycling Off road VTT MTB then good to be aware of the Patou. The Patou is similar to the Pyrenean Mountain Dog. 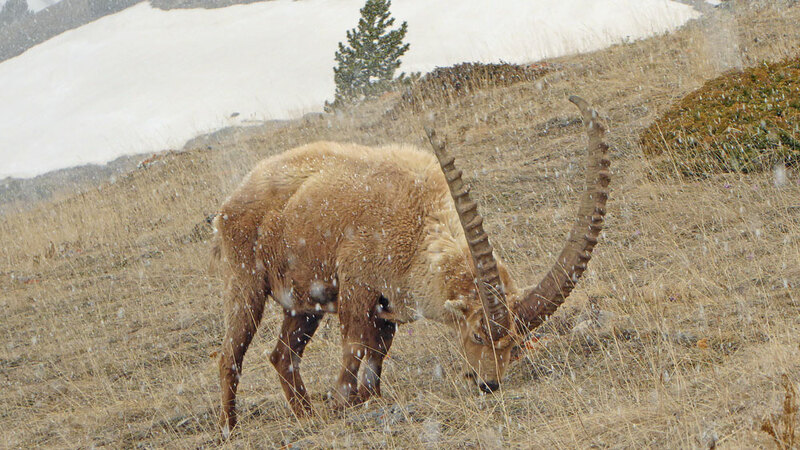 It guards the flocks of sheep (supposedly from wolves) that are brought up in the summer to the high mountain pastures. There have been numerous cases of these dogs attacking walkers. What they will do is from a long distance come over to you to check you out. I have had them travel well over a kilometer leaving their flock to suss me out, though I did have my two Jack Russells with me. I have three encounters with them now two off the bike and one on the bike, and can be pretty disconcerting so be aware. 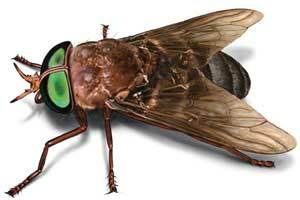 If like me you're rather susceptible to mosquitoes and being bitten by midges etc then when it's hot one of the fiercest beasties that can really ruin your day is the Horse Fly. They are easily recognisable by their large red or green eyes. And when climbing through the high altitude pastures then they can be quite prevalent especially when it's really hot. They just don't bite but tear your skin, and they seem to love your buttocks and lycra does not stop them and the thing is it's normally too late by the time you've been had, all you can do is keep a watch out for each other. The bite can be painful and the effects will differ from one person to another, but immediate swelling can be an issue. I always cycle with anti histamine pills and do cover myself in fly repellent prior to going out. And there are good things to be seen too! The most obvious being Marmot and Chamois, though in our part of the world if cycling up to the Col du Lautaret / Galibier around around 6km out on Monetier you'll often see Bouquetin, these are like a cross between a cow and a chamois, and they can often be seen very close to the road just after Pont de l'Alpe / Le Lauzet. When grinding your way up a long climb it's worth keeping your eyes and ears open and not just focus on your computer and the various km signs giving altitude and gradient! 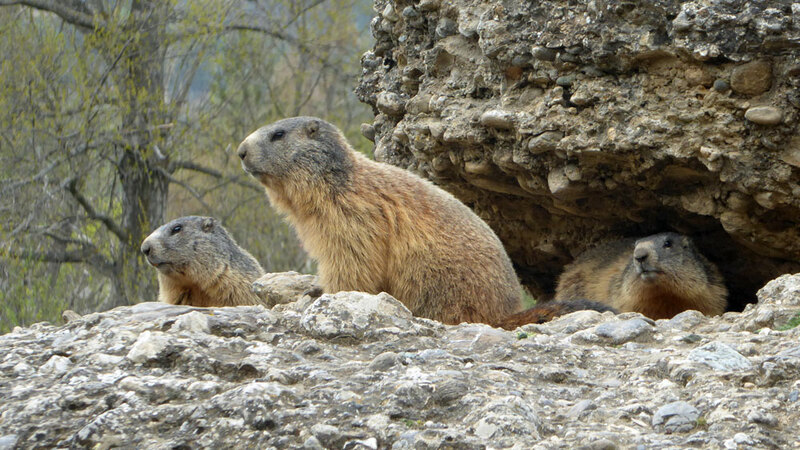 When you hear a high pitch whistle often repeated that will probably be a marmot warning others, they will usually be above you standing on their haunches, best time to see them is quite early in the morning when roads have been quiet. 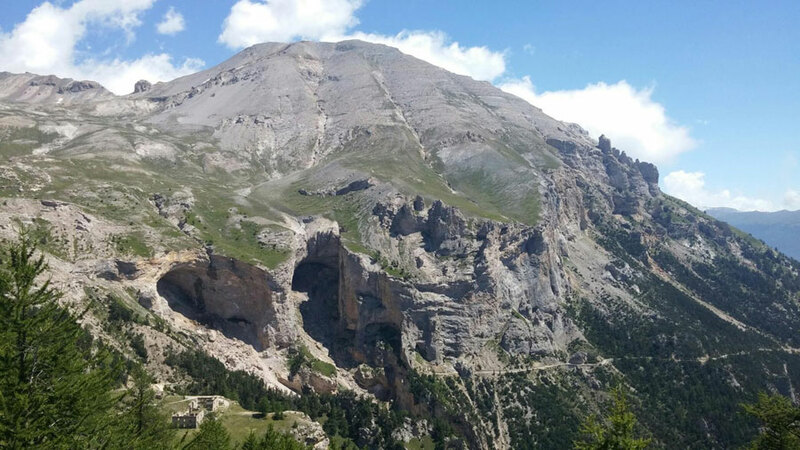 If you really want to guarantee to see them, and or have family with you then head on down towards Mont Dauphin near Guillestre (map here) and there you'll see them up close, but in the height of summer can be busy! Then up in the sky if you're lucky you might well catch sight of an Eagle or two as well as buzzards. 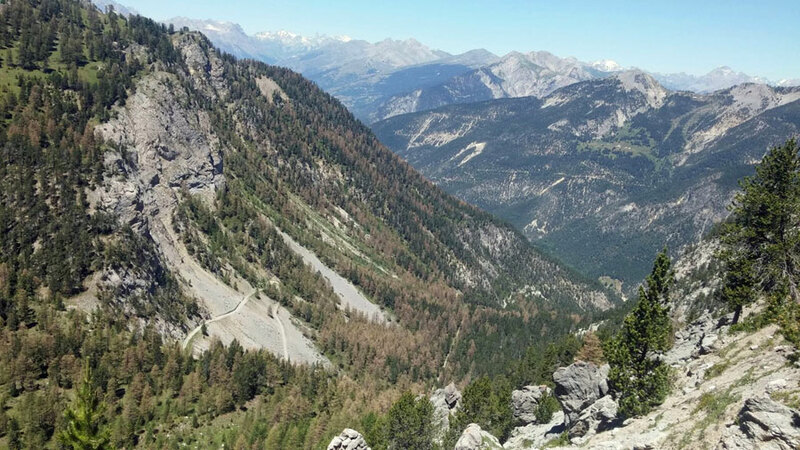 This I think has to be one of my favourite trails as it traverses along the valley via the Col des Cibieres, Col de Buffere, Vallon de la Moulette and then a descente "magique" sur Monetier par le bois de St Joseph. 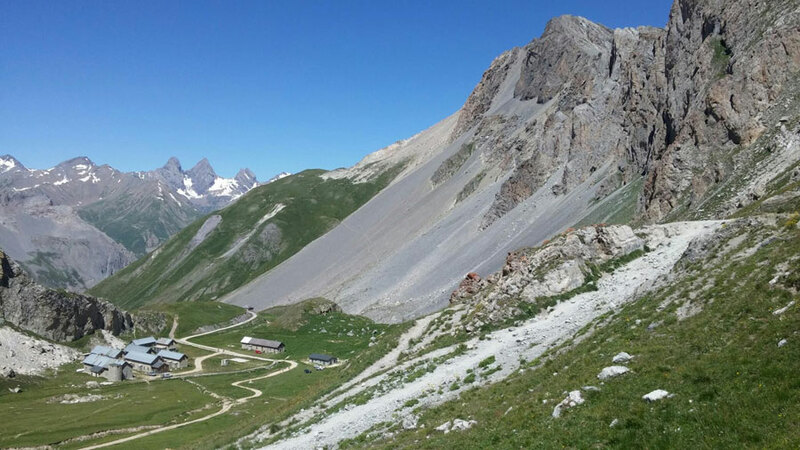 The only negative is that there is a tough climb to get to the Col de Granon where the route officially starts. 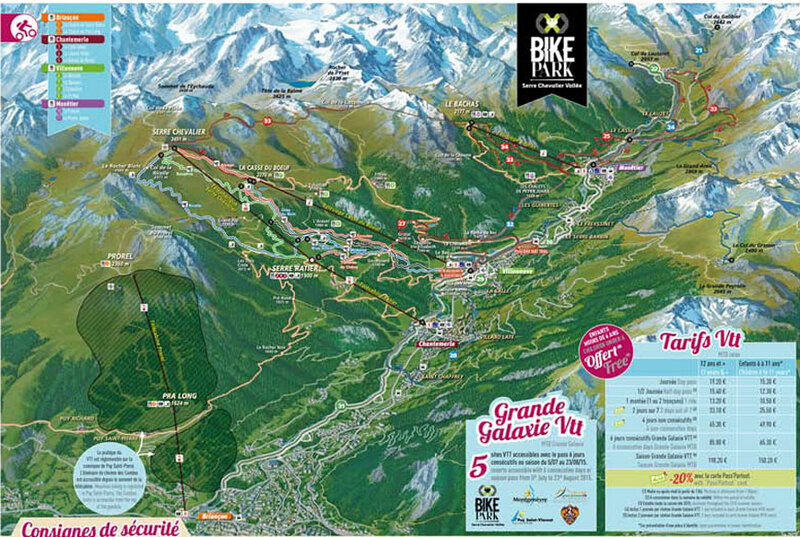 However what many do is to take the bikes in a car to the Granon car park leaving another car at the bottom so at the end of the ride you then drive up in the other car to collect the one you left. 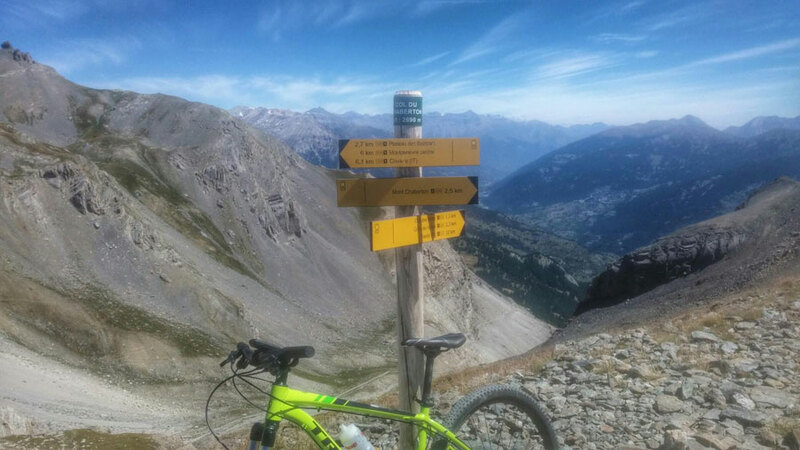 Obviously if you have an Electric Mountain Bike or are very fit then the cycle up to the Granon is not an issue! 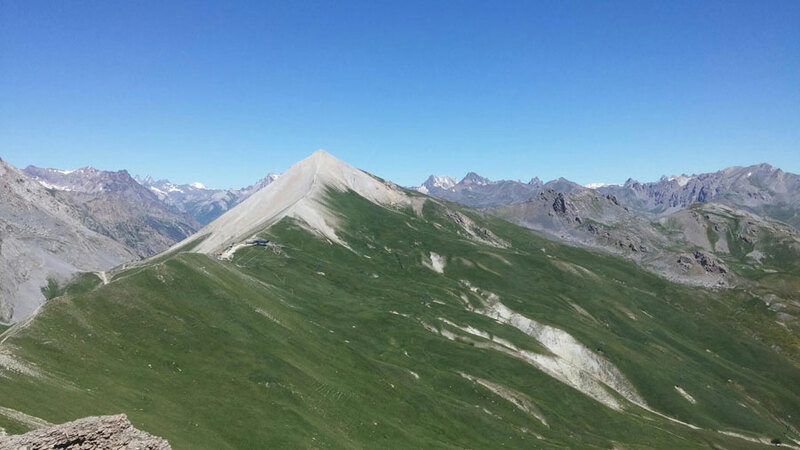 And be aware, there is a good chance of coming across the Patou along the traverse and if cycling up the Granon and then near the Granon, horseflies! 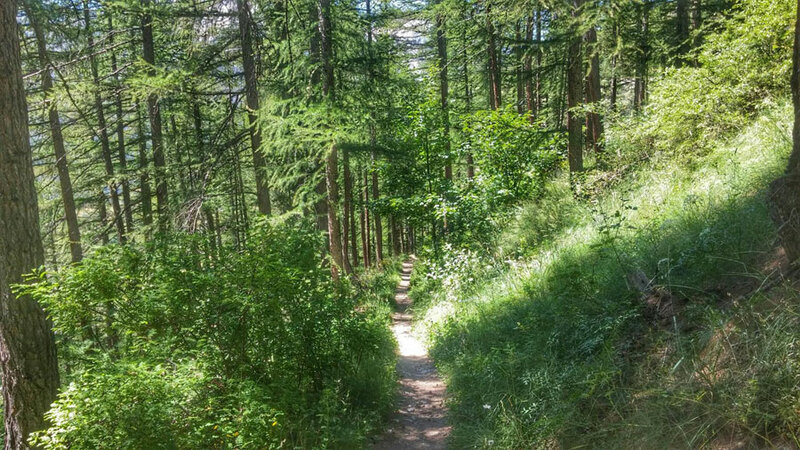 The trail is easy to follow and is wll signposted, going from trail to eventual single track. Descente "magique" sur Monetier par le Bois de St Joseph. 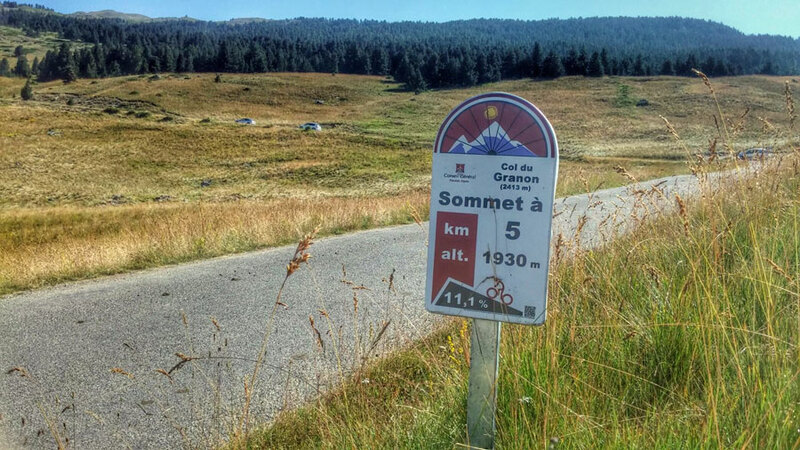 There is a shorter version of this route as well, rather than driving / cycling to the Granon you park up at a parking area about 3km below the Granon, this does avoid some climbing than if you were to leave from the Granon. Heading down towards the forest. 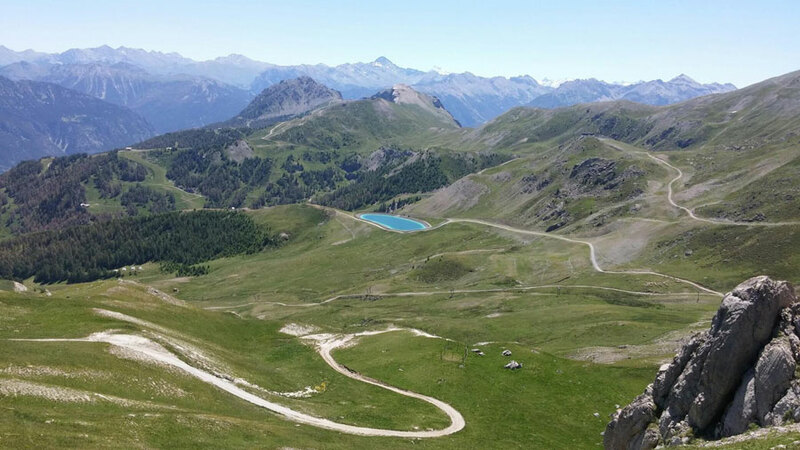 Again if cycling this route you could drive up to the Granon leaving a car there. This route is far more technical as it is mostly single track, and then down through the forest the switchbacks are quite demanding. Again if cycling this route you could drive up to the Granon leaving a car there, and or thsi would be ideal for an electric mountain bike, though there is one part of the descent where if not used to descending you may have to walk down. 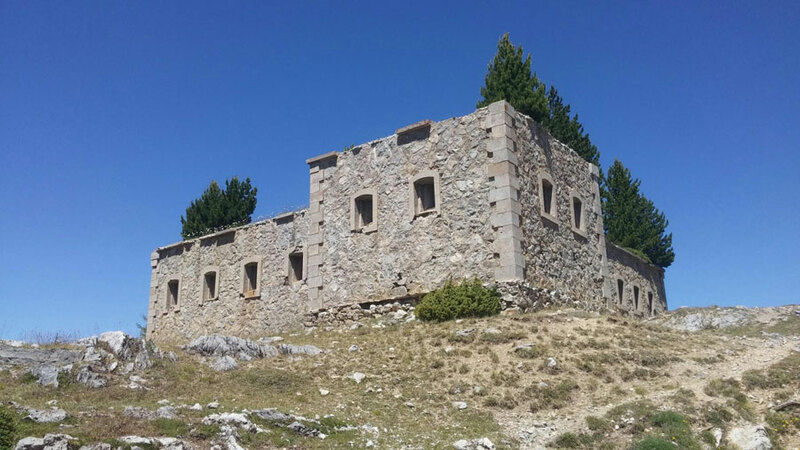 After the tarmac road of the Granon the route becomes on off road trail and was an old military road, just below the car park is a WW2 Maginot line fort that you can still gain access to. 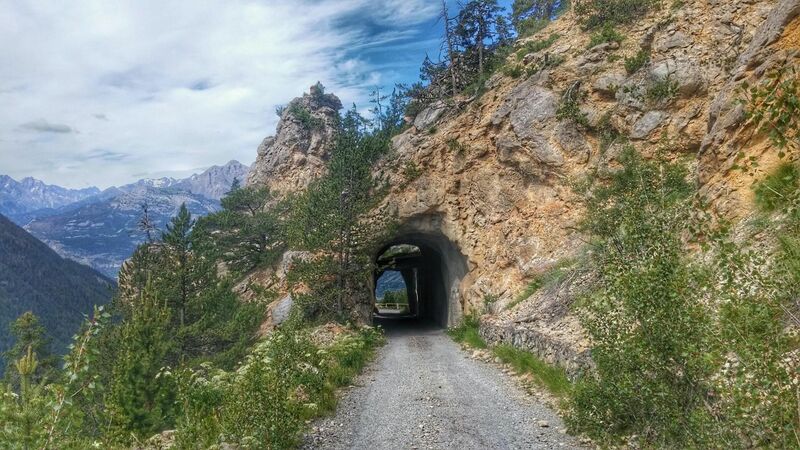 Eventually the trail meets the road at just before Val de Pres then it's back along the road to Briancon. 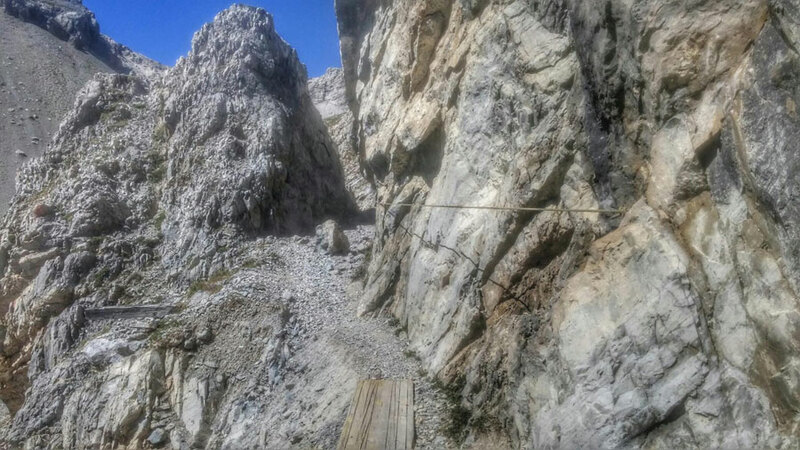 Be warned this is quite a tough route and you may well find yourself walking at points! 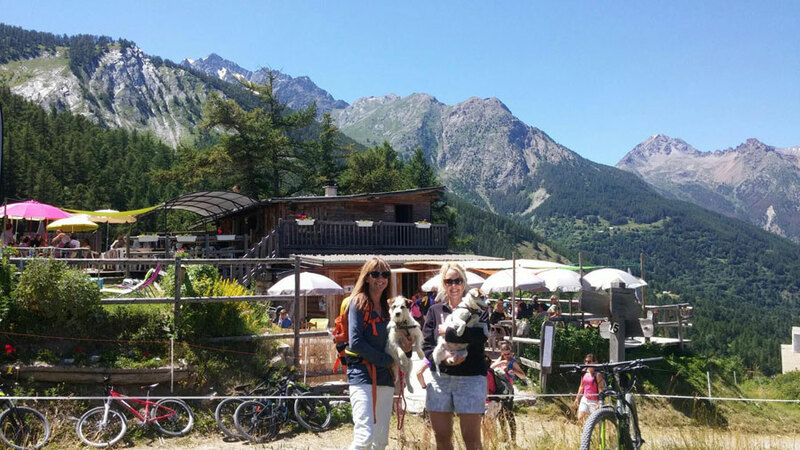 Starting in Villeneuve you ride out along the valley following the sign posts for the Pi Mai restaurant and the Adventure Park heading for the summer village of Frejus. If in no rush you can stop off at the delightful Pi Mai for a drink, just before Pi Mai on the terraced pastures you might well hear marmots whistling. Looking across to the Le restaurant l'échaillon. 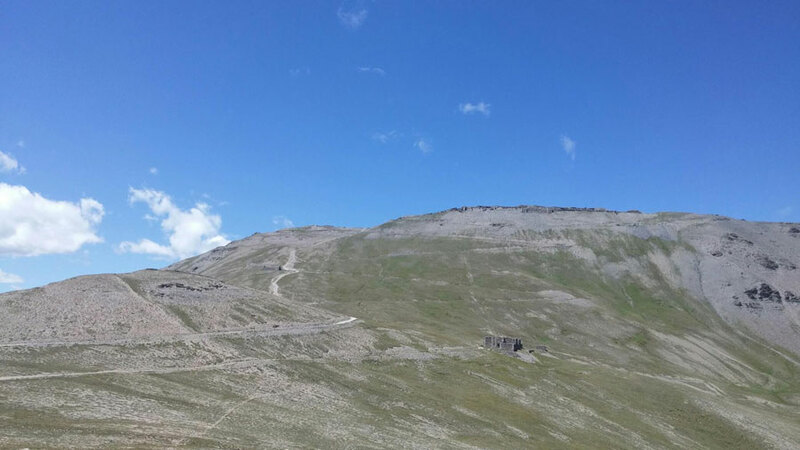 After Frejus it's a tough climb to the bottom of the Clot Gauthier chair and then you follow the trails (again quite steep) heading towards the Crete de la Balme via Col de Mea pictured below. From the top of the Crete you will see the Cucumelle. Then it's more or less the start of the descent into Monetier along the ridge below the Cucumelle which is narrow single track. Heading down towards Monetier and the top of the Bachas chairlift you have the option of descending down the bike park trails which are really good fun. Finding the restaurant of Peyra Juana can be difficult but as you can see many do! 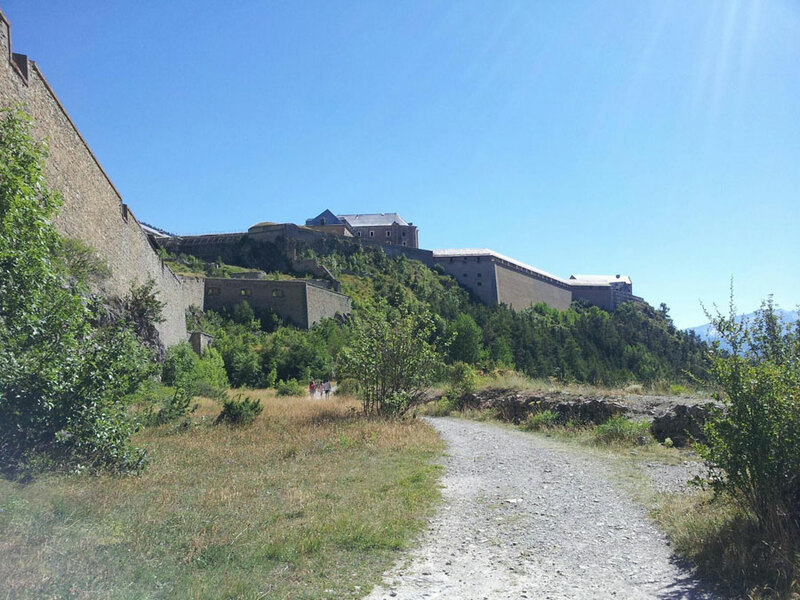 It's also a great rendezvous to meet people who might want to walk there from the valley, either from Monetier or Guibertes. The final descent down through the trees from Peyra Juana is great fun too. 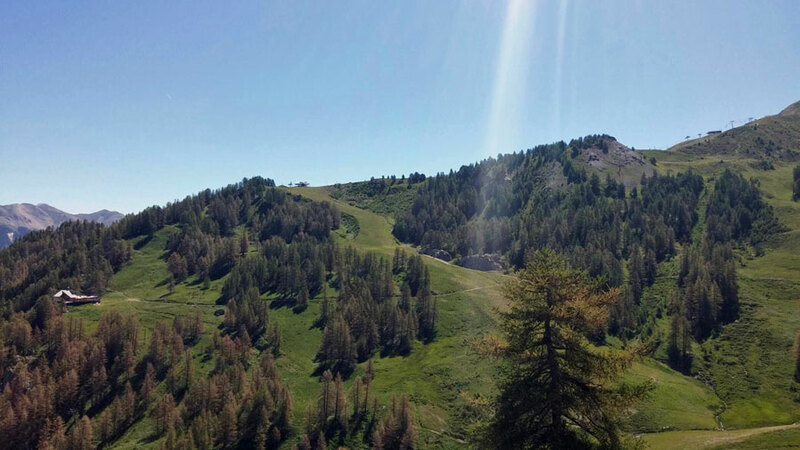 There is also the option of taking the Casse du Boeuf lift up and then descending down past Le restaurant l'échaillon. 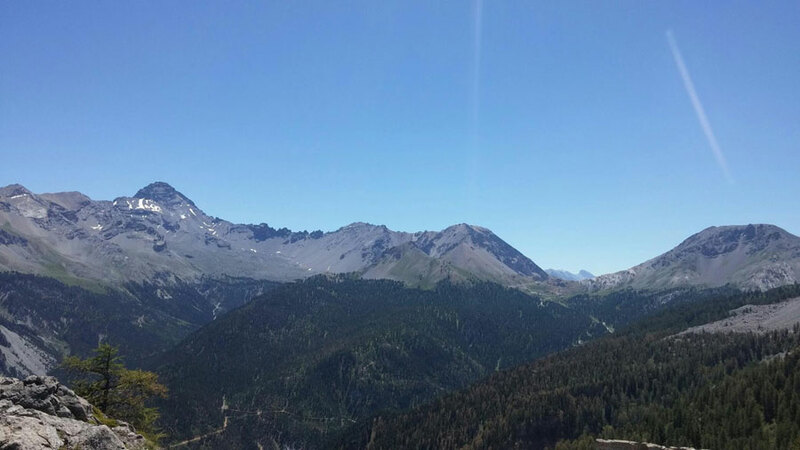 Descending down the trails in Monetier en route for the Peyra Juana. 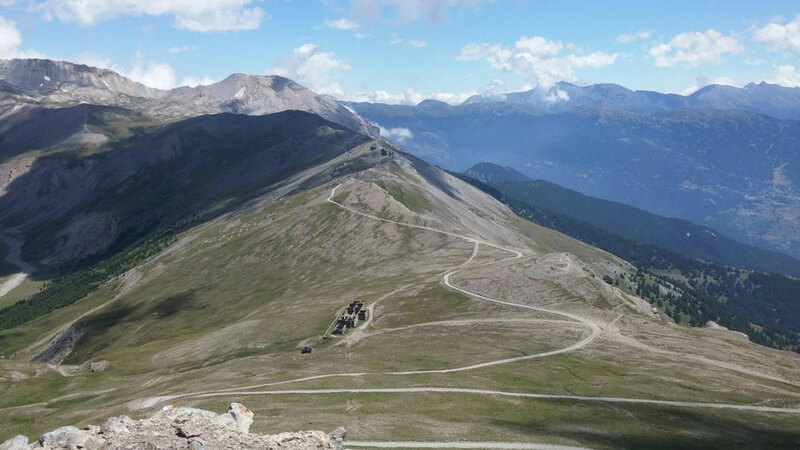 If you don't want to do so much climbing then you can take the Casse du Boeuf chair and then descend down to Serre Ratier and take the cable car up. 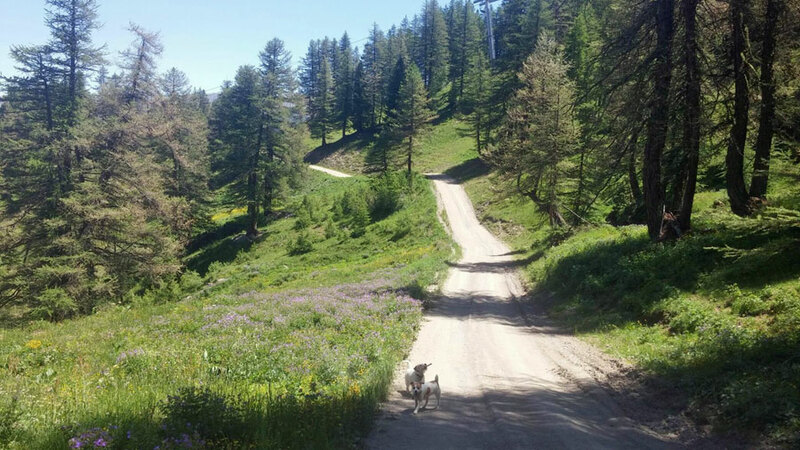 All the trails are well signposted according to difficulty, and if not used to downhilling (like me) then the greens and blues are great fun, and the dogs like them too! Quick pit stop at the Pi Mai at Frejus. This is another GPS track log just taking the lifts up, though I only turned my watch on after the Casse lift! This is a nice and easy ride maybe to get someone used to being on a bike or a first outing on an electric mountain bike? 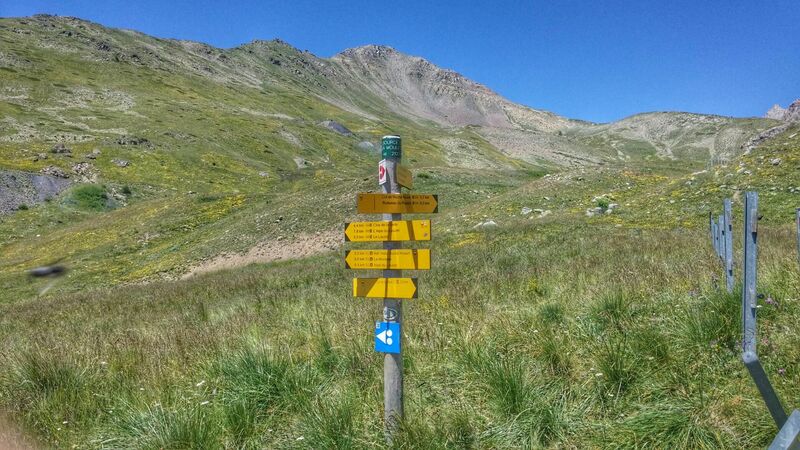 This video shows the route from the valley up to the summer village of Frejus and then on up to Casse du Boeuf before dropping down to Aravet and then picking up the bike park trails. 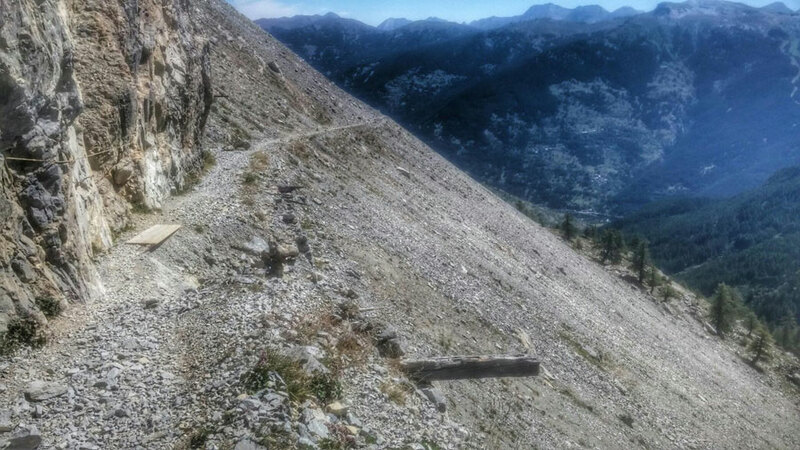 With the explosion in popularity of electric mountain bikes (E-Bikes) and to a lesser extent gravel bikes (cross between road and MTB) there are so many trails over the mountains which you can explore, and are ideal if you're at all nervous about your downhill descending technique and want to avoid gnarly single track. Leaving the village of Chantemerle you climb up with well signposted tracks, you can either do a circuit or return the same way. 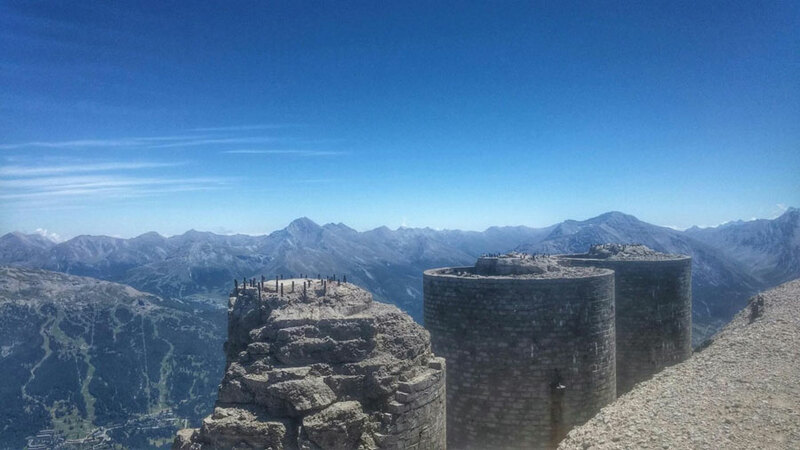 As you drive into Briancon for the first time you'll be amazed at the many forts surrounding the city, and many you will not see the first time, but pretty well every summit has a fortress built on it, and not just Briancon but Montgenevre, as well as into Italy. 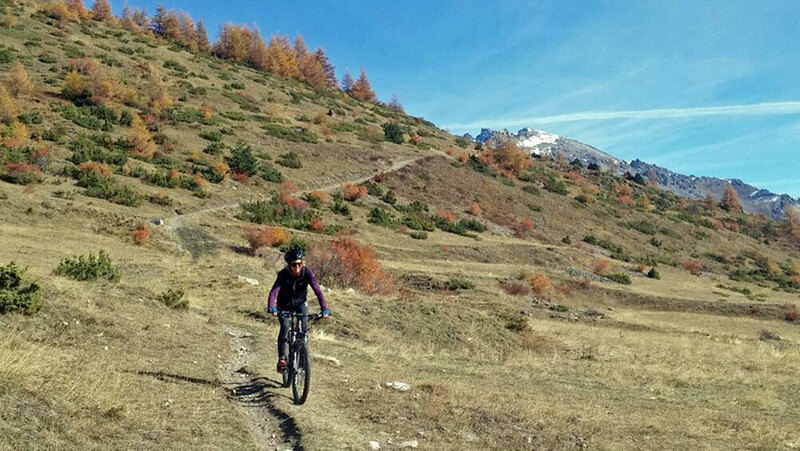 There are so many routes and trails you can explore, and over the years helped by not only road cycling but by ski touring and hiking I've discovered some great rides. It was actually on a road bike the first time I ventured up the old military road that takes you past the fort of D'Anjou and near to the summer village of Poet Morand. Since that first ride where due to being on a road bike with carbon race wheels I was unable to go over the top as the trail quickly changed to off-road territory I've gone up a number of times and now have worked out the definitive ride, well so I think! This is a tough ride, but spectacular. I did this on a gravel bike and I realised the limitations of the bike on this ride as the trail was just too tough for the bike. 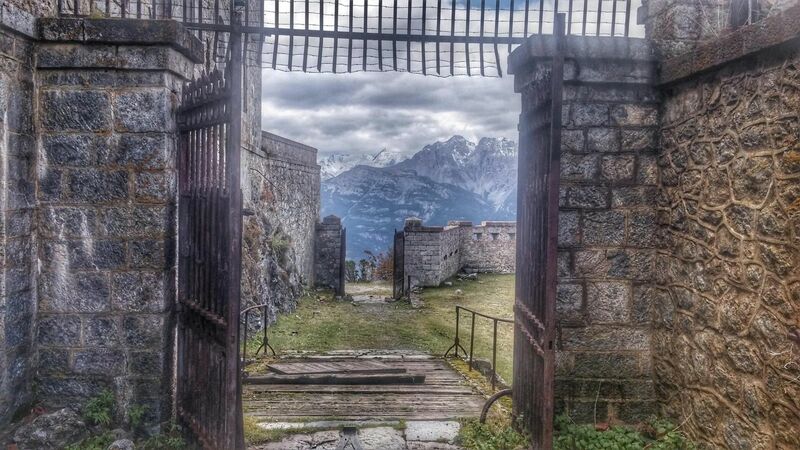 As you can see the views and the fort were just superb, and no health and safety signs with complete access through the fort. 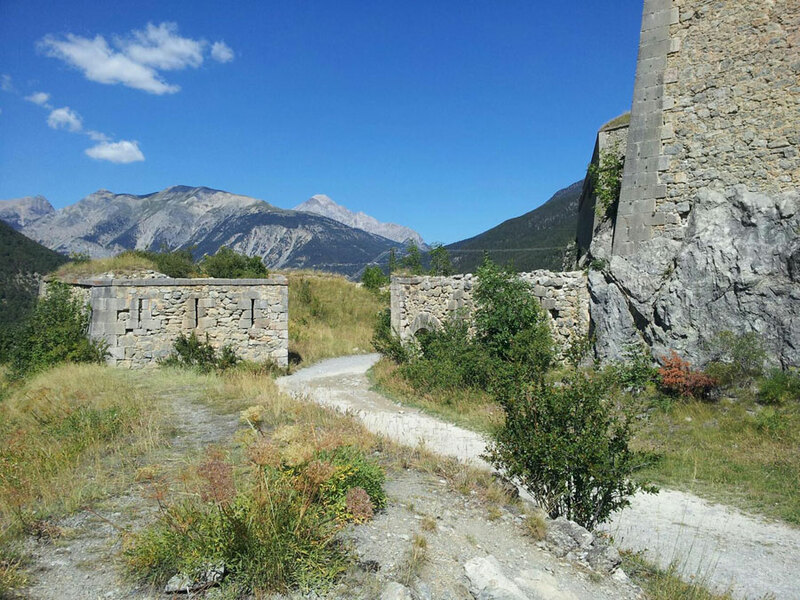 Looking across to the Le fort de l'Infernet, Poet Morand and the old military road up to Montgenevre and Gondrans fort. 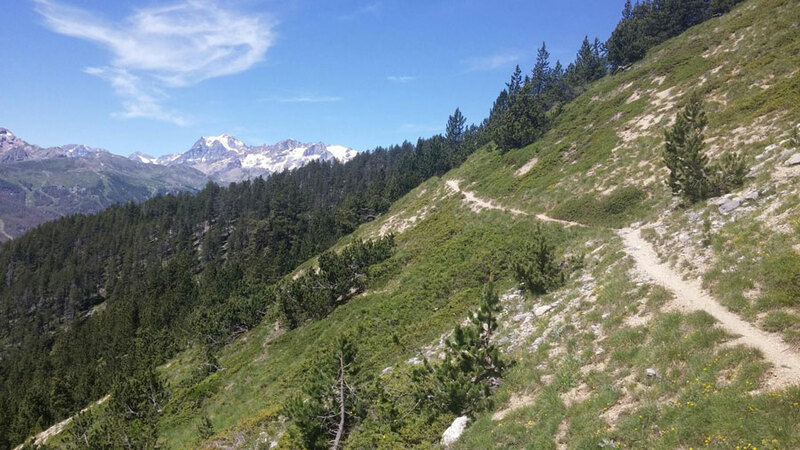 This too is a stunning ride and the trail is a little easier than going up to the Bretagne. 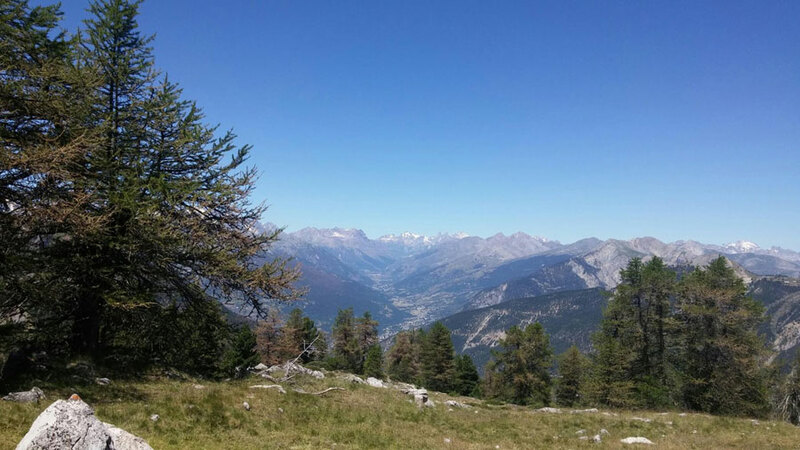 Looking down towards Serre Chevalier valley. This is tough and I had to hike with the bike a fair way at times, both on the ascent and descent, but it was well worth it! It was after this ride/climb that I switched from using SPD pedals to flats using stiff soled moutain approach shoes. You can see how trying to ride up was technically challenging and dangerous! 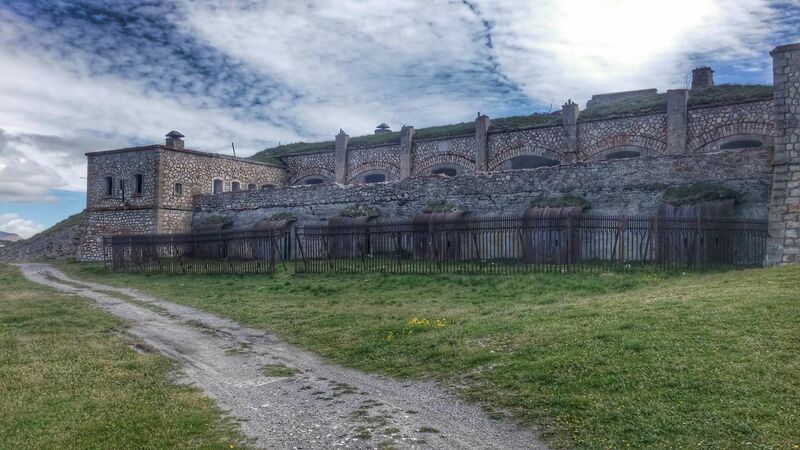 Another fortress and another military road. For this I drove to Oulx and then on to a small village where I started the climb. Prior to going I'd planned the route and downloaded it to my GPS but in the end navigation was not too much of a problem. Only issue was that in Italy the old military roads (Strada) are frequented by convoys of 4x4 Off Roaders and motorbikes. 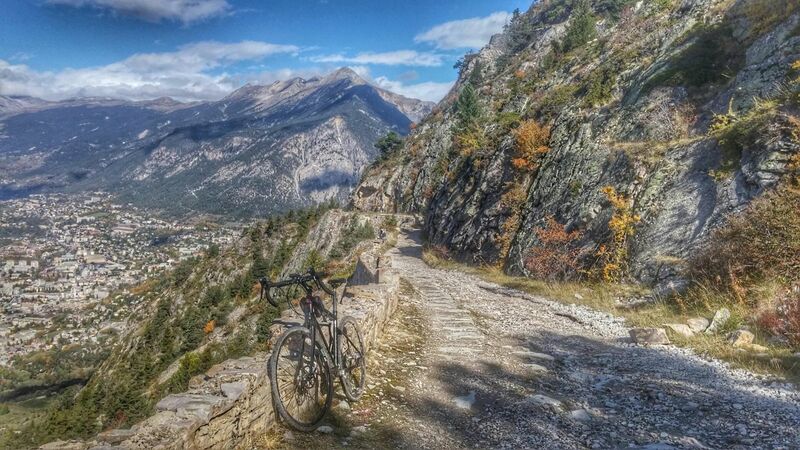 Really does make you appreciate the routes around Serre Chevalier and Briancon! 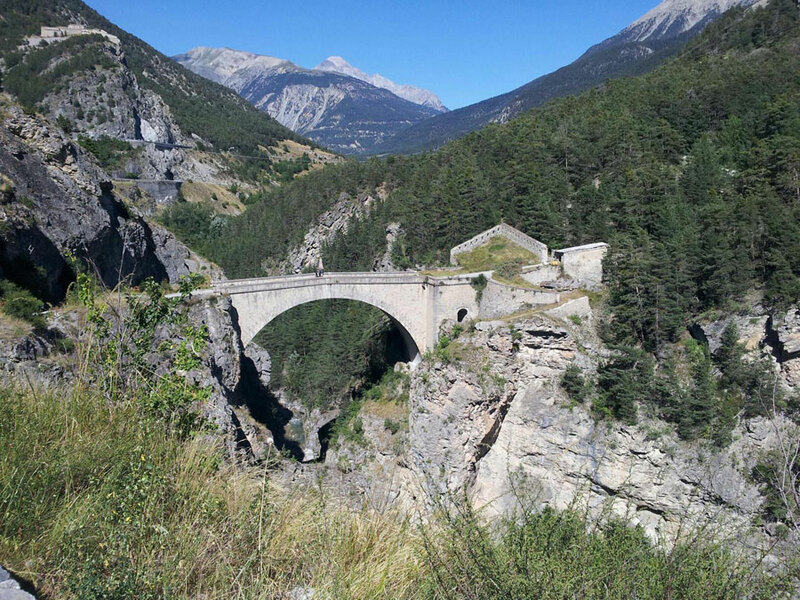 On researching the route I learnt that there was another military road (picture below) and that the road goes through a tunnel that had partially collapsed, I then heard later that it was now passable by two wheels, not to sure I'd like to get up there to find that information was wrong! 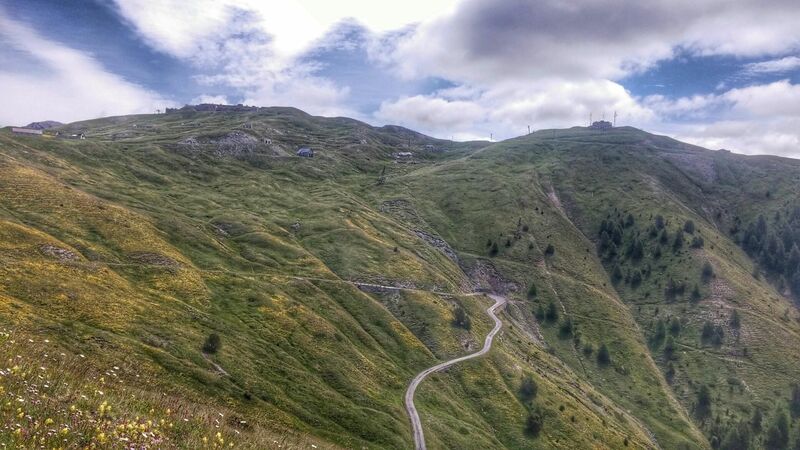 And there are some alternative descents to take back down. This is quite long and tough! 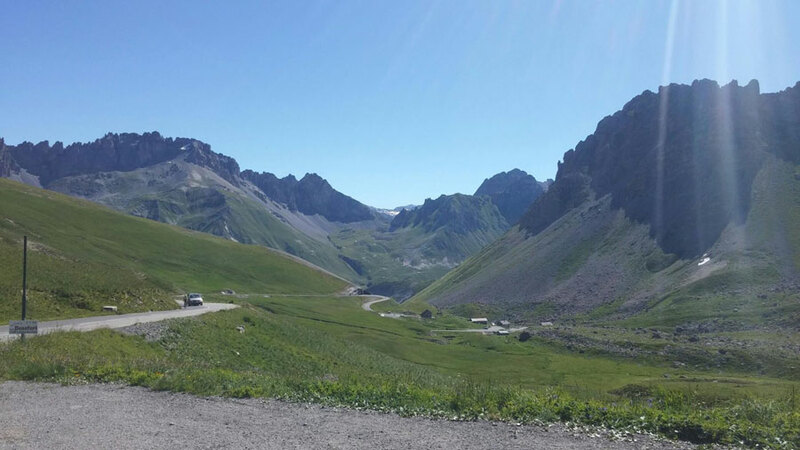 Ride on the road up to the Galibier, though if you were super keen you could take the off road route up through the valley and then the old route up to the Col! 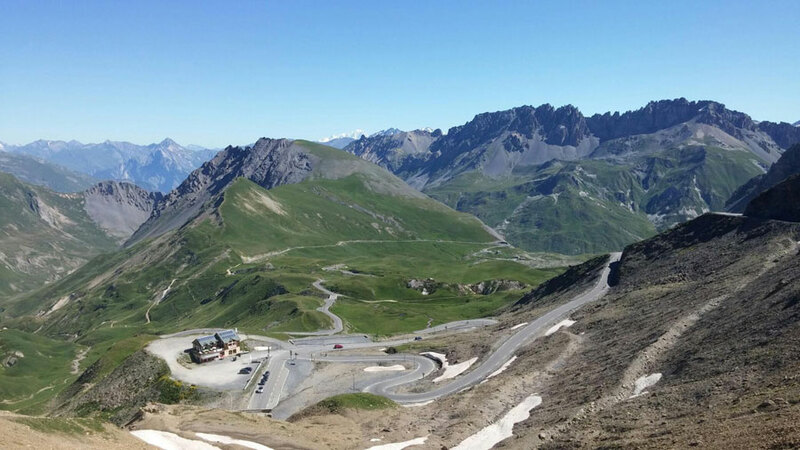 Then it's a superb road descent down to Plan Lachat, and then the fun starts. After the Col terrain was none too bike friendly and I ended up walking a lot till the goat path became more of a single track and then into a decent trail. 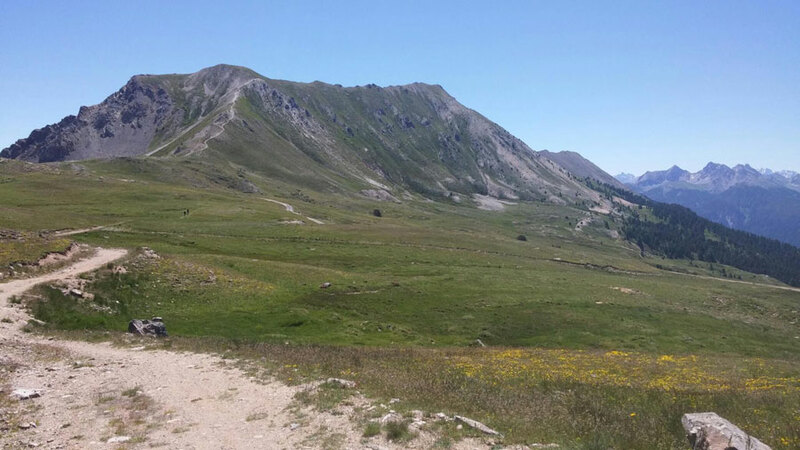 Then by the Refuge Laval the trail becomes tarmac and then it's a welcome descent nigh on all the way back to Briancon. 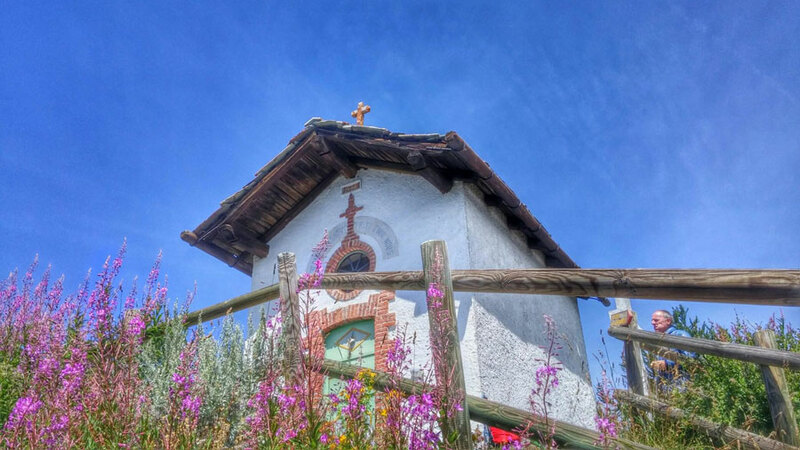 Mountain blog for skiing and cycling news, ski touring randonne guide from the Hautes Alpes Serre Chevalier and Briançon.